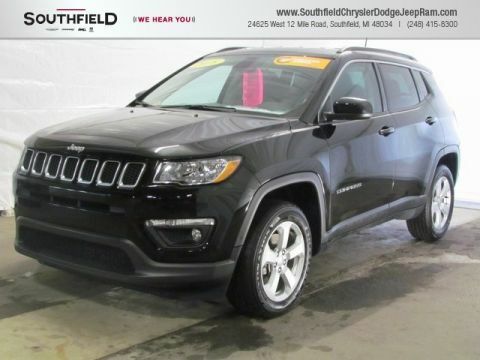 Pre-Owned 2018 Jeep Compass Latitude Sport Utility in Southfield #15671 | Southfield Chrysler Dodge Jeep Ram " "
FCA CERTIFIED PRE-OWNED!, HEATED SEATS, REMOTE START, REAR VISION CAMERA, 17'' ALUMINUM WHEELS, All-Season Floor Mats, Black Roof, Cold Weather Group, Fully automatic headlights, Heated Front Seats, Heated Steering Wheel, Radio: Uconnect 3 w/5 Display, Reversible Carpet/Vinyl Cargo Mat, Speed control, Steering wheel mounted audio controls, Wheels: 17 x 7.0 Silver Painted Aluminum, Windshield Wiper De-Icer. 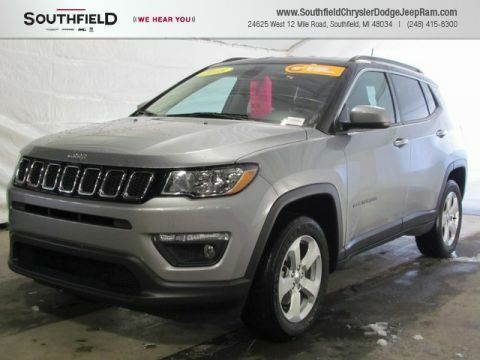 Clean CARFAX.Granite Crystal Metallic Clearcoat 2018 Jeep Compass Latitude 4D Sport Utility 2.4L I4 9-Speed Automatic 4WDCertified. FCA US Certified Pre-Owned Details: * Roadside Assistance * Powertrain Limited Warranty: 84 Month/100,000 Mile (whichever comes first) from original in-service date * Transferable Warranty * 125 Point Inspection * Includes First Day Rental, Car Rental Allowance, and Trip Interruption Benefits * Limited Warranty: 3 Month/3,000 Mile (whichever comes first) after new car warranty expires or from certified purchase date * Warranty Deductible: $100 * Vehicle HistorySouthfield Dodge Chrysler Jeep Ram is proud to offer this wonderful-looking 2018 Jeep Compass. Odometer is 2237 miles below market average! 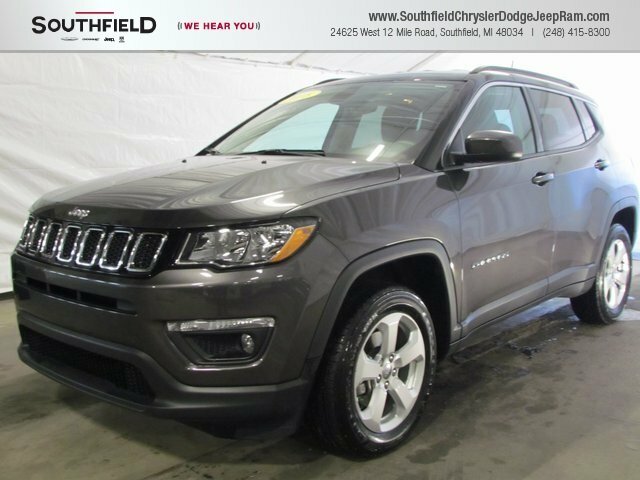 22/30 City/Highway MPGSouthfield Chrysler Dodge Jeep Ram became part of the Ken Garff Family in 2014. Our dealership has many satisfied customers from Southfield, Detroit, Bloomfield Hills, Farmington Hills, and Troy, MI. Our commitment to our customers begins from the moment they step into our showroom and test drive one of our new Chrysler, Dodge, Jeep, or Ram models or one of our quality used vehicles. 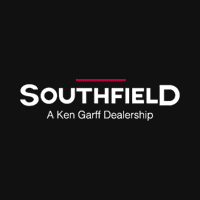 Southfield Chrysler Dodge Jeep Ram became part of the Ken Garff Family in 2014. Our dealership has many satisfied customers from Southfield, Detroit, Bloomfield Hills, Farmington Hills, and Troy, MI. Our commitment to our customers begins from the moment they step into our showroom and test drive one of our new Chrysler, Dodge, Jeep, or Ram models or one of our quality used vehicles. From there, our auto finance experts ensure you get a car loan or lease that meets your particular needs. We want to you drive away with your new or used car, truck, or SUV completely satisfied. Our highly trained service technicians look forward to caring for your vehicle down the road in our service center. If you are looking for style, performance, rugged capability, or all of the above, we have something for everyone. 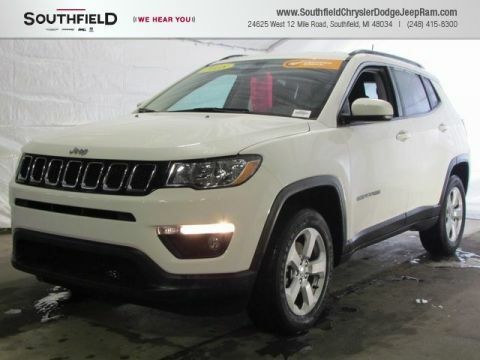 We invite you to visit our Southfield, Detroit, Bloomfield Hills, Farmington Hills, and Troy, MI area Chrysler, Dodge, Jeep, and Ram showroom. We are located at 28100 Telegraph Road, Southfield, MI 48034. If you have any questions, give us a call at (248) 331-9937. We look forward to speaking with you.